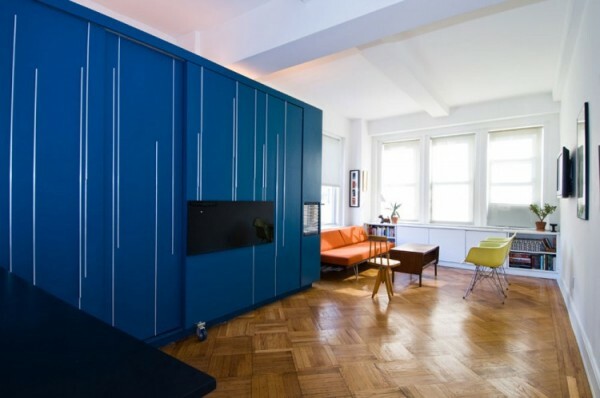 Found via here, I couldn’t wait to share this fantastic New York studio apartment with you. 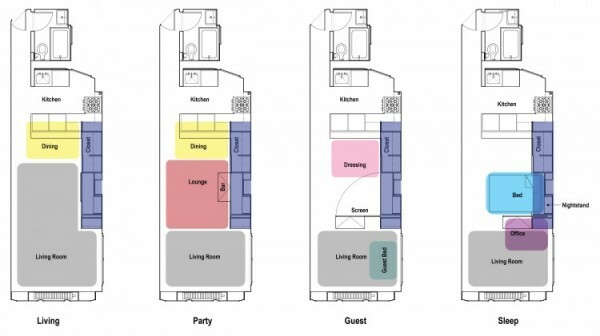 Within its tiny 450 sq. 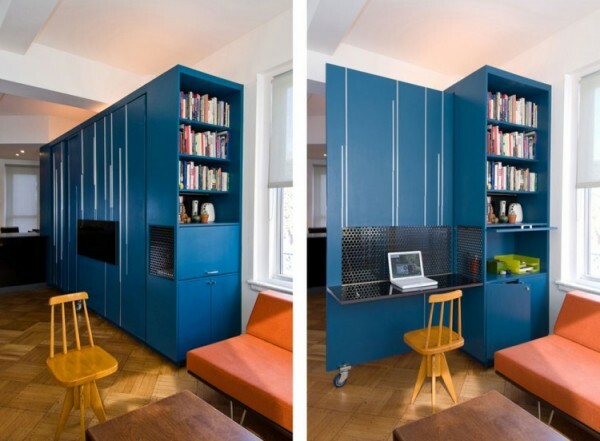 ft. living space, this transforming custom built-in handles all the functions of the home! Check it out..
Now that’s what I call smart design! I know, Carol, aren’t they great? Such useful spaces! Thanks for stopping by. 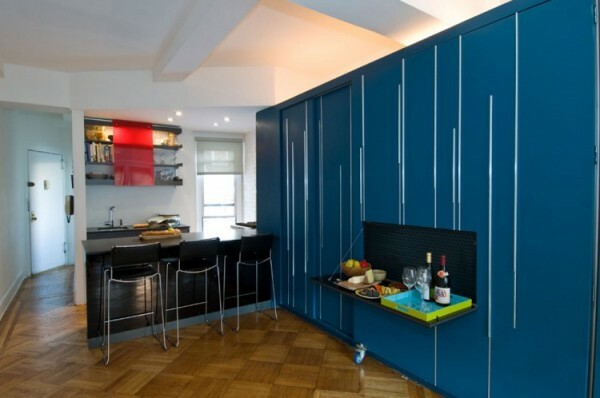 great idea for super small space. I have a new Manila Philippines studio flat almost the same shape and love this idea for storage and hiding away the bed.